LensCulture Earth Awards 2015 is a worldwide call for photography focused on nature, the environment, wildlife, landscape, conservation, sustainability, and how we live on the planet. We are awarding $25,000 in cash grants as well as many video projections at international photo festivals, visibility with LensCulture Insiders, a Printed Annual and more. These awards are open to a wide range of interpretations and approaches — from fine art celebrations of the beauty and wonders of nature, to hard-hitting in-depth documentary issues-based stories. Photography is a rich visual language that can express diverse perspectives in powerful, memorable ways. What is YOUR view of life on Earth today? We're seeking great series of photographs as well as outstanding single images. Photography is the most vital communication element for environmental storytelling. Francis Hodgson is Professor in the Culture of Photography at the University of Brighton, in England. 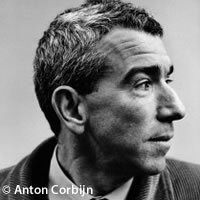 He is also the writer on photography for the Financial Times, a contributing editor to Art Review and a critic for the Economist. Hodgson was a co-founder of the Prix Pictet (on which he served several times as chairman of the jury) and he also chaired the Sony World Photography Awards. 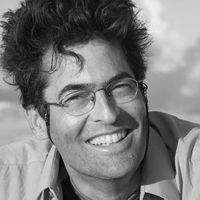 He has published many monograph texts on photography and has often been a guest lecturer. Before these current positions, he served as head of the Photographs Department at Sotheby's and also worked as a gallerist at the Photographers' Gallery and Zwemmer Fine Photographs. 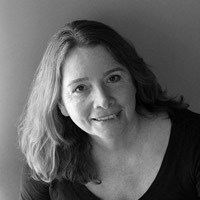 Molly Roberts is a photography editor, curator and photographer, she currently serves as Chief Photography Editor at Smithsonian Magazine. With 25 years experience in the magazine publishing world, she is responsible for the content and appearance of many magazines, books, web sites and apps. She is an advocate for powerful visual storytelling and human rights and recently created the non-profit HumanEyesUSA to present documentary photography projects in public spaces and to use powerful imagery to help illuminate complex issues facing America. Born in Osaka, 1968. After working at Museum of Contemporary Art Tokyo, Tetsuro Ishida serves as the curator of Tokyo Metropolitan Museum of Photography, involved with art museum education and exhibition projects and organization. 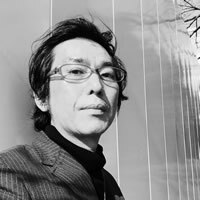 He has curated exhibitions of Nobuyoshi Araki in 1999, Rinko Kawauchi in 2012, Contemporary Japanese Photography vol. 12 in 2013 and more. Kathy Moran is National Geographic magazine’s first senior editor for natural history projects. A 33-year veteran of the Society, Moran has been producing projects about natural ecosystems for the magazine since 1990. 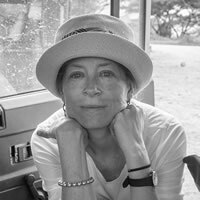 Moran has edited several books for the Society, including “Women Photographers National Geographic.” She was named “Picture Editor of the Year” for her winning portfolio in the 2006 Pictures of the Year competition and the 2011 Best of Photo competition. She is a founding member of the International League of Conservation photographers and edited numerous books for ILCP photographers. Melissa Ryan is Director of Photography for Nature Conservancy magazine, the award-winning magazine of The Nature Conservancy. Ryan oversees & implements the photographic vision for the print, online and mobile editions. 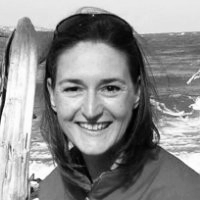 She works in close partnership with freelance photographers to publish dynamic environmental conservation stories. 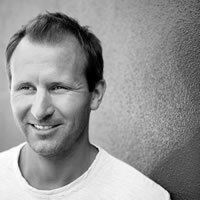 Ryan has over 20 years of photo editing experience working on magazines, books, newspapers, and online projects. Chris Jordan’s work explores contemporary mass culture from a variety of photographic and conceptual perspectives. Edge-walking the lines between beauty and horror, abstraction and representation, the near and the far, the visible and the invisible, his images depict viscerally the enormity and power of humanity’s collective will. Jordan’s works are exhibited and published worldwide. Arianna Rinaldo is a freelance professional working as a photo editor, reviewer, curator and teacher. She is the Director of OjodePez, the documentary photography quarterly published by LaFabrica, Madrid. She is also the artistic director of Cortona On The Move, an annual international photo festival, taking place in the beautiful region of Tuscany, Italy. In 2014, she was the guest artistic director of DOCfield14, a city-wide celebration of documentary photography in Barcelona, involving more than 40 institutions and organized by Photographic Social Vision. Ian Shive is CEO & founder of the Los Angeles-based Tandem Stills + Motion, Inc., one of the world’s leading collections of licensable photographs and motion clips of the outdoors; a noted photographer; recipient of the prestigious Ansel Adams Award for Conservation Photography; author of 5 books on photography and the environment; an instructor in the photojournalism program at the University of Southern California (UCLA); and Executive Producer of a program on sharks for the Discovery Channel, among other noted achievements. 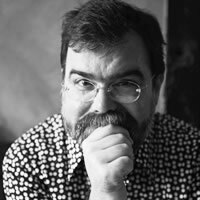 Jim Casper is the founding editor and publisher of LensCulture, one of the leading destinations for contemporary photography from around the world. As an active member in the contemporary photography world, Casper organizes annual international photography portfolio review events, curates arts exhibitions, writes about photography and culture, lectures, conducts workshops, serves as an international juror and nominator for key awards, and is an advisor to arts and education organizations. He serves on the board of directors at SPE, the Society for Photographic Education, the world’s largest association of photography educators. I think art has a crucial role to play in the healing and transformation of our world, from the most local level all the way to the global. $25,000 in cash awards plus opportunities for entrants to earn global recognition amongst today’s top photographers working on the subject of Earth. 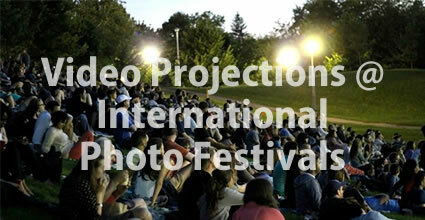 Video projections for Winners and Finalists at international photo festivals around the world. Direct visibility to our distinguished group of over 500 LensCulture Insiders from the photo industry: curators, gallerists, editors, creative directors and publishers. Opportunities for inclusion in the Earth Awards Competition Gallery, curated daily by our editors. *Editors' Picks: LensCulture editors will select hundreds of photographers during the competition for immediate exposure to our global audience of over 1.2 million via social media and the Awards' Competition Gallery. After the competition, highly-rated entries (not only winners and finalists) will gain visibility with LensCulture Insiders and will win invitation-only LensCulture Portfolio accounts, both of which are really valuable to any serious photographer seeking recognition in the photography community. Fine Art Series — Conceptual and aesthetic series inspired by nature and how we live on the planet can include beautiful, realistic or abstract perspectives on nature, personal explorations of one’s experience in the landscape, alternative processes incorporating elements of nature, or creative ways of exploring where we are, how we got here, and where we’re going. Documentary Series — We’re interested in everything from serious traditional documentary work to non-traditional conceptual examinations of our diverse relationships to Earth. We welcome explorations of conservation, journalistic exposés of environmental problems and concerns, as well as stories of innovative good work being done to make the world a better place. Single Image – Sometimes a single image is more powerful alone — and many nature images such as wildlife and landscape are not made as part of a series. 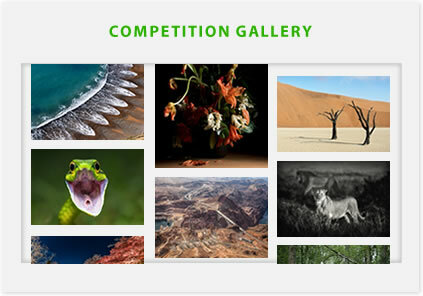 The open category is for single images looking at Earth and how we live on the planet. Top selected work from Winners and Finalists will be digitally projected at photo festivals and events throughout the year. LensCulture is active in a growing global network of nearly all of the most important photography events each year, and we work endlessly to promote our winning selections at all of these events throughout the year. A museum-quality competition catalog will be distributed to hundreds of LensCulture Insiders and industry experts including editors, curators, festival directors, publishers, gallery directors and more. The annual will consist of a selection of the images from all the Winners and Finalists, presenting the work as some of the best Earth-related photography in the world. Work from Winners and Finalists plus hundreds of the other top-rated photographers from this competition will be shared with LensCulture Insiders, our network of influential names in the photography industry. We believe this kind of exposure is critical for both emerging and established photographers to gain valuable jobs, opportunities, and inclusion in published pieces. Just by entering your work, you have an opportunity for immediate exposure in our Competition Gallery where hundreds of thousands of online visitors can view and share your work with their networks. For photographers seeking visibility, immediate exposure on the LensCulture Earth Awards website is an invaluable resource. 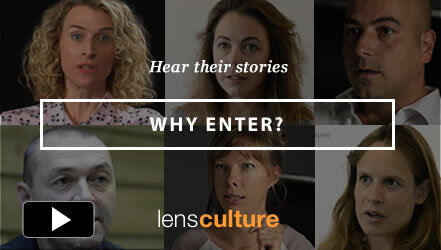 All Winners and Finalists will have the opportunity to participate in a live, online review of their work with a photography expert on our new review platform, LensCulture Sessions. You will get valuable feedback, expert advice and will learn how to get more exposure for your work. Work from Winners and Finalists will be shared across our global network of nearly 1,000,000 on LensCulture.com, our email list, and multiple social media channels. We have found this to be a very effective strategy for getting photographers exposure that leads to career-boosting opportunities — see our Success Stories. All Winners, Finalists plus hundreds of the top-rated photographers will get a free, invitation-only portfolio account on LensCulture to showcase your work. Gain access to our invitation-only network of the world's most cutting edge photographers for on-going exposure to our 1 million+ global audience of photography lovers and industry experts. 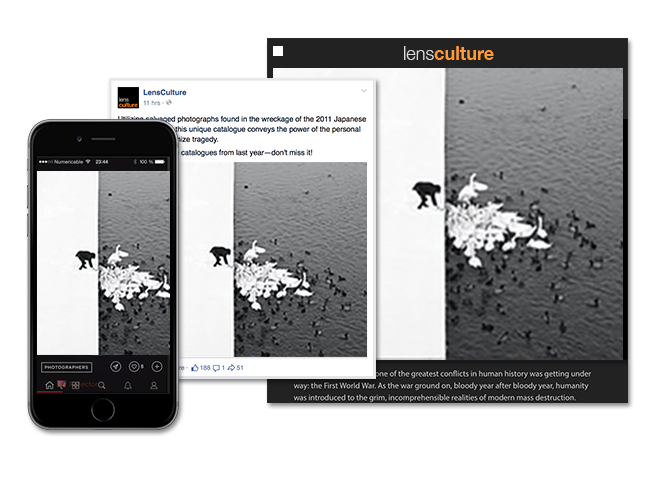 Plus, LensCulture editors can discover your latest work and potentially feature it in articles, Editors’ Picks, and social media. The award given to me by LensCulture has given me incredible exposure — not only in my country but internationally. Thanks to your exposure, I was invited to quite a few solo and group exhibitions in different countries and it helped increase the value of my prints and photobooks. The 2015 LensCulture Earth Awards invites all photographers whose work has a thematic focus on images inspired by our planet. The judges will select 9 Top Winners plus 25 Finalists — selected from among all entries. Winning photographers will receive significant opportunities to broaden their exposure in the global photography community. We invite entries from all over the world! Submit your best series and single images of all genres inspired by Nature & the Earth — fine art landscapes, hard-hitting documentary, shocking environmental reports, inspiring wildlife shots, travel, still life or conceptual. Send us your best work today! Entry to these awards is ideal for all photographers from emerging to established, with no limitations on age or location. For further information please see our FAQ. All photographers retain full copyrights for their own work. Period. Winners and Finalists grant LensCulture limited, restricted use of winning photos only to promote the photographers themselves and in connection with marketing the Awards competition itself. LensCulture's Earth Awards are about more than beautiful photography. We also recognize the importance of action and change. The conversation starts with wonder and inspiration through nature photography, then continues with artistic and documentary explorations of the places that sustain us: where we are, how we got here, and what we must do to protect them. We've partnered with the following organizations as a starting point for you to learn more about what you can do if you choose to get more involved. Founded in 1951 and now active in all 50 US states and 35 countries, The Nature Conservancy is one of the largest conservation organizations in the world. The mission of The Nature Conservancy is to conserve the lands and waters on which all life depends. Rare inspires change so people and nature thrive. Conservation is about people. For more than 25 years, Rare has empowered local communities in over 50 countries to shift from being resource users to environmental stewards. 350.org is building a global climate movement. Their campaigns and mass public actions are coordinated by a global network active in over 188 countries. The grassroots movement they believe in is rising from the bottom up all over the world, and is uniting to create the solutions that will ensure a better future for all. We believe that competitions are one of the best ways to boost your career in photography. Hear how the lives of these 10 photographers were impacted by winning a LensCulture competition. Ellie Davies transforms the woodland spaces around her home into a wondrous studio, through which we can become re-acquainted with nature, trees, even the stars. Learn more about her unique work and how her career took off. Visual Storytelling 2014 winner Kirsty Mitchell shares "Wonderland," the stunning fictional narrative she just completed. See what happened after her LensCulture win was announced: it's a beautiful story on every level. Two-time LensCulture Finalist Kerry Mansfield talks about her amazing experience of fighting breast cancer as well as the origins of her latest series, Expired. Kerry's photographs are as powerful & inspiring as her story. “For decades I kept my photographs in boxes in a closet, or at best, on walls of my small, apartment living room. Now, thanks to LensCulture's amazing international reach, one of my projects, “Birthday Suits: A Woman, Her Camera & Time” is known all over the world. At my age, it's such a gift knowing that what I've spent a lifetime doing has touched others. I'm still getting emails from women and men of all ages and countries thanking me for what I've done. “I received a lot of attention after being published in LensCulture! Mainly, it was the first time that my work received some response from the US. First, my work was published in a couple of US magazines and then, I was offered an exhibition in New York City at the Robert Mann Gallery in Chelsea! I went there for the opening and it was an amazing experience for me. The gallery also represented my work at the AIPAD Fair, which was great. “Winning 1st prize in the portfolio category of the LensCulture Exposure Awards, as well as attending the portfolio reviews in Paris that November, were a breakthrough for me. It led directly to the 2012 publication of my book âSea Changeâ by Kehrer and a solo exhibition of the work at Londonâs Oxo Gallery. There were reviews of the book in The Observer newspaper as well as Source magazine and features in magazines and blogs ranging from The Guardian weekend magazine to Reddit. This led to a huge spike in visitors to my website. My âSea Changeâ book is almost sold out. 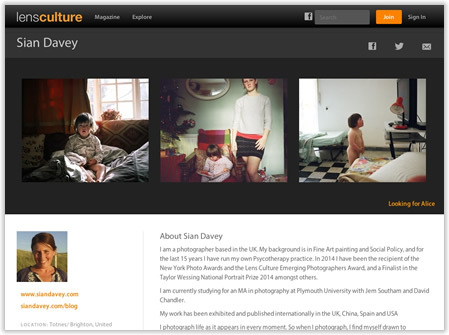 “Being selected for a LensCulture award in 2010 had a fantastic impact on my career, giving me worldwide exposure and leading to six solo exhibitions and many group exhibitions throughout Europe, Russia, North America and Malaysia over the last four years, as well as inclusion in Arles, Singapore and Norderlicht Photofestivals in 2012. My work was published in magazines around the world and also included in a number of books, most notably WUD: Four Fictional Walks in the Woods, a hand-bound limited-edition photobook published by Tangarine Press. “Yes, I got amazing feedback so far: some postings in blogs in New York and Boston; a Swedish publishing house wants to work together with me, and an Austrian magazine wants to publish the âMother Shoesâ series in the September issue. So â Iâm very happy! 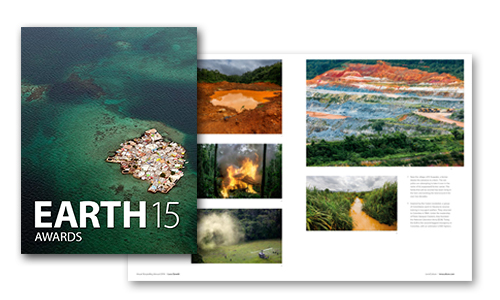 Printing of the LensCulture Earth Awards 2015 Annual generously provided by Edition One Books.